Home Sweet Home: Blinds or Curtains? My daughter had installed blinds in her own bedroom a couple of months ago and I was impressed on how it transforms her bedroom into a more sophisticated look. She's been urging me to allow her install blinds in her room but I always discouraged her because I was thinking that blinds are more difficult to clean and maintain as compared to curtains. 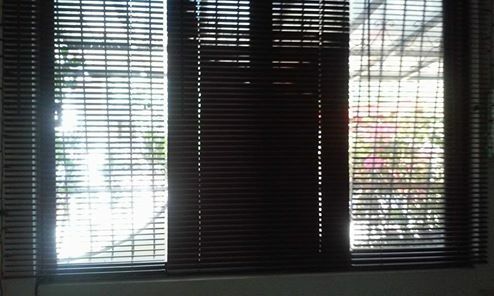 Another reason why I am a bit skeptical about having blinds for window treatment is because unlike curtains, installation of blinds requires assistance from a professional. When my son came home for his vacation, my daughter sought his approval for installing blinds in her room. 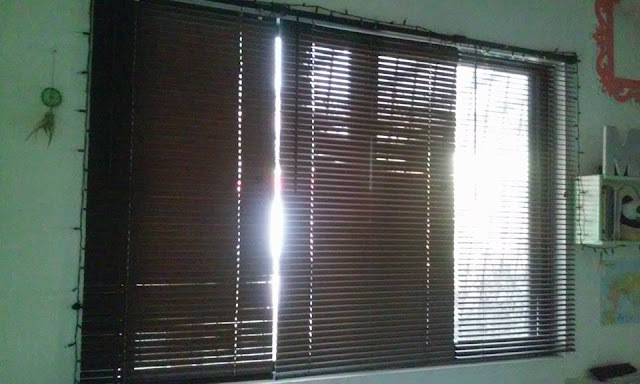 I was just surprised one day that she already bought some blinds using her own money. Since that time, I was planning to call our favorite handyman/repair man to do some minor jobs in the house, my son and daughter thought of having him fix the blinds at the same time. I was glad that our handyman was able to install it easily. After looking at the final outcome, I would admit, I admire it's sophisticated look. My daughter's bedroom looks more decent and elegant. I was also pleased with it's functionality. Using the string rod, controlling the lights coming from outside the window is so easy and the best part is that my daughter achieved what she wants, having the much needed privacy without sacrificing the need for natural light in the room. Now I am thinking if I would do the same for our living room since, I am also looking at privacy issues since I noticed that our living room can be seen from outside especially at night time since the house is elevated from the street. I am now looking into the issue of cleaning and maintenance and after I am convinced that it could be done in a bliss, maybe I would push through with my plans of installing blinds in the living room.